Summer in Oregon’s Curry County means indulging in some of the best outdoor activities around. From Langlois in the North to Brookings in the South, the locale offers plenty of fun under the sun for everyone. Curry County is especially beloved by nature lovers because of its pristine environment, unspoiled beaches, and dramatic waterscapes. Spend a couple of nights at any of Curry County’s popular camping sites such as Humbug Mountain State Park, Cape Blanco State Park, and Mill Beach. The surroundings are majestic and the views, stunning. Plus, camping is a great way to strengthen family bonds and escape the pressures of modern life. If you’re one of those folks who don’t consider a day at the beach complete without collecting and keeping a few of its treasures, the many beaches of Curry County are sure to please. 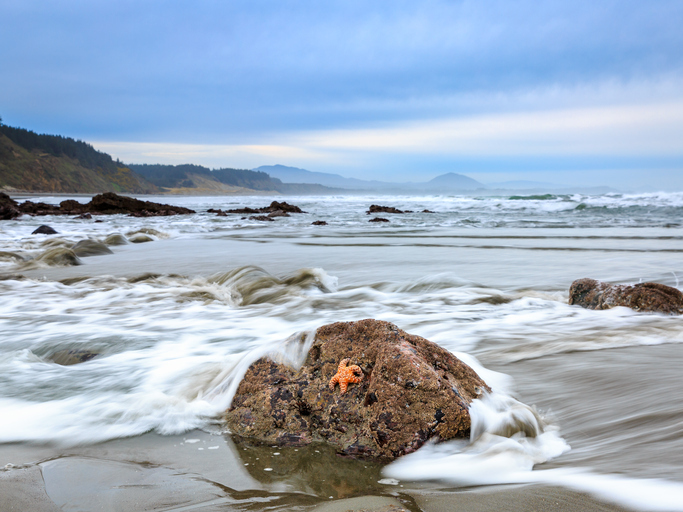 From Cape Blanco to Harris Beach State Park, you’ll find yourself surrounded by sea glass of different colors and designs that will glitter and wink at you. Enjoy an invigorating ride through Curry County, breathe in the fresh air, and drink in the beautiful scenery all at the same time. US Highway 101 in particular, is a huge favorite of local and national biking enthusiasts, thanks to its four routes that provide plenty of exhilarating biking thrills. If you’re looking for a tougher challenge, the Elkhorn Crest Trail is a must-visit. Whether you’re taking pictures of coyotes in the wild or sweat peas in full bloom, photography never gets boring in Curry County. The locale is a photographer’s playground – everything from the Redwoods to the ocean offers endless opportunities for capturing the majesty of wildlife or landscapes. Thanks to the convenient pull out that highways offer, you’ll have plenty of time to try various angles with your photos to make them even more stunning. Aside from hiking and biking, another great way to explore the coastline and different trails at Curry County is on horseback. Begin your riding adventure by renting a horse. Or, bring your own for a leisurely trot along the beach. Practice your swing or enjoy a round at either Cedar Bend or Salmon Run, Curry County’s very own golf courses. Both offer uniquely fun challenges with their sand dunes, tall trees, and ponds. Planning to do more than just visit? Want to invest in Curry County real estate? Let the team at Coastal Oregon help you out. Our years of experience buying and selling properties in the area can prove valuable to your real estate goals. Contact us here. Or call 541-661-3056 for Marie and 541-661-3301 for Bret. We’ll be glad to answer your questions and help you understand your real estate options in the Southern Oregon Coast.